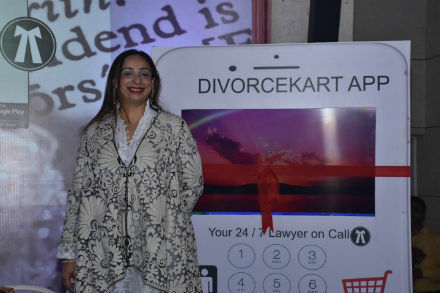 Chennai: Vandana Shah, an award winning Divorce Lawyer, Author and Columnist with her team today, amongst family and friends launched “Divorcekart” – India’s first legal app that focuses on answering legal queries regarding divorce instantly. The App which is available free on both IOS and Android platform is going to serve as an online help platform for those couples who may feel that the marriage is over, and are unsure of their legal rights and process if and when they file the divorce. The app will only be a help platform to understand one’s legal rights and would not recommend or advise any person to end a marriage or continue with it.